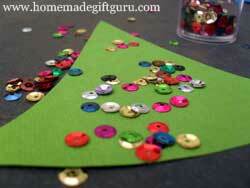 These free Christmas gift tag templates are designed to help you make your own Christmas gift tags. 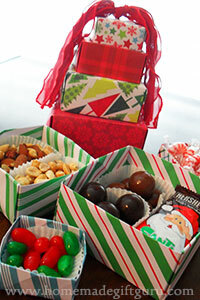 Use them to label homemade Christmas gifts and holiday food gifts, to decorate your handmade greeting cards and in various Christmas craft projects. 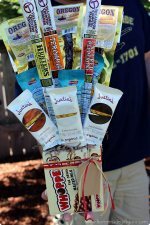 They are fun and easy to use! 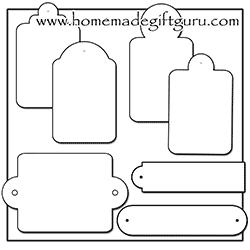 Simply print out the desired Christmas gift tag templates (choose the size you want by resizing them if needed) and use them to trace and or cut out your own free gift tags. Make your own perfect holiday gift tags using your favorite paper and embellishments... or use the templates to create Christmas crafts like homemade Christmas ornaments (ideas below). 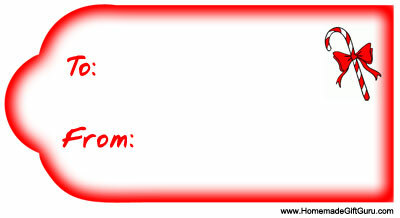 Below you'll find several printable gift tag templates to choose from. 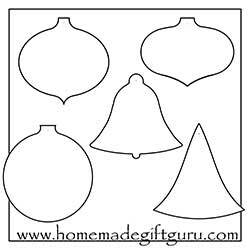 The following free Christmas gift tag templates can be used to make your very own elegant holiday gift tags or even homemade Christmas ornaments. 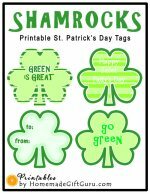 You will also have the option to make your own stencils (for use again and again) using these templates. 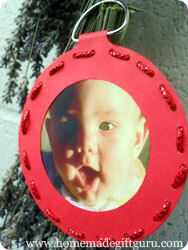 Read more on making stencils and creating ornaments below. ...to print several tags at once (or to resize tags), copy and paste tags into a word processor program such as Microsoft Word or Open Office (a free alternative). 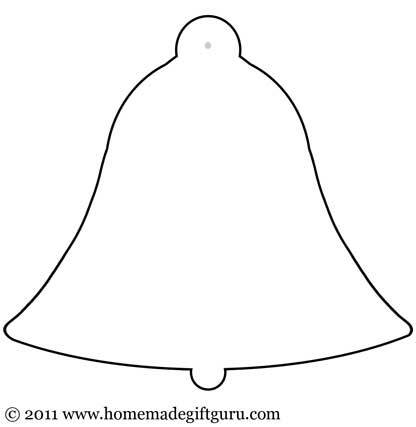 Use the light gray dot on top as a guide to punch a hole... run ribbon through the hole as is or apply an eyelet. The following tags have two options for how to use them. Option 1: Punch. 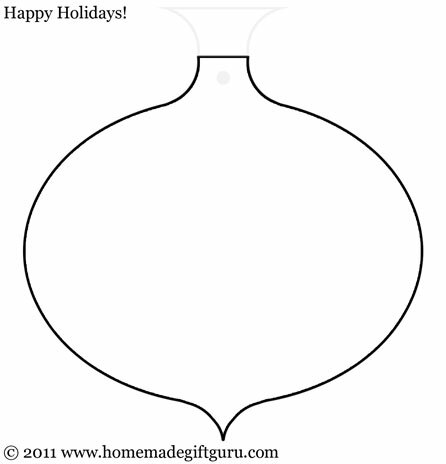 You can use the light gray dot on top as a guide to punch a hole for this gift tag (just like the templates above). You can leave the hole as is or add an eyelet if desired. Be sure to scroll down for more design tips and techniques! 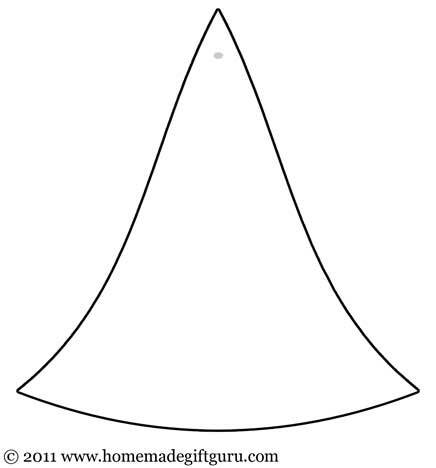 Note: The following templates are larger than they appear. You can easily change the size by copying them into Word or another word processing program and dragging the edge in. These free printable Christmas gift tag templates are really just a starting point to make beautiful gift tags, Christmas crafts, greeting cards and homemade Christmas ornaments. I've included a few ideas below to get you thinking about the fun things you can do with these templates. If you enjoy these free printable Christmas gift tags and want to use them more than once, you may like to make your own permanent templates. 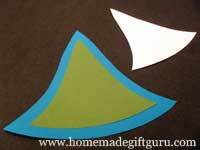 To do this, simply trace the shapes onto cereal box card board and cut them out carefully. 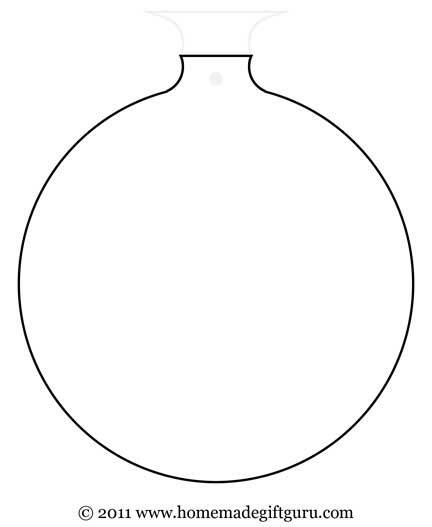 Then you can use your new templates to trace as many patterns as you want! 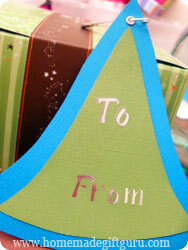 Print one or more of these free printable Christmas gift tags. For each gift tag template, hold or secure it to a piece of good quality heavy weight paper, such as card stock, and cut along the black line. 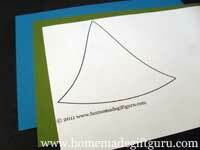 You can mat your template onto a slightly larger piece of card stock for a really nice look. To make a mat for your tag simply hold or secure the tag or cut-out template to a contrasting piece of paper and cut the desired larger size. You can then discard the template or use it as a guide for another tag. 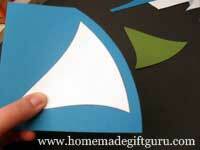 Use straight scissors or decorative design scissors. Punch a hole in the top. Leave it as is or add an eyelet. Some of these tags allow you to cut a mirrored image of the top of the tag to fold down to the back, creating a loop for ribbon or even a ring. Below: Punched with eyelet Left and fold over loop Right. Decorate and embellish as desired using beads, glitter, sequins, buttons, sewing, stickers, stamps, punches, photos... anything you can think of! 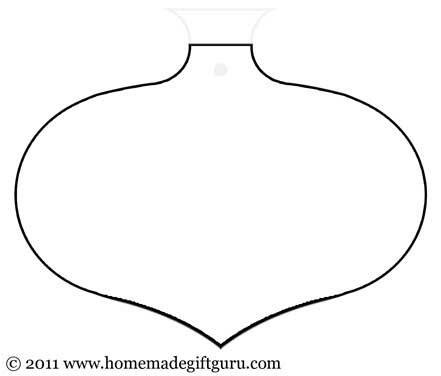 You may also be interested in these various formal and double punch gift tag templates... as well as these playful shaped gift tag templates! 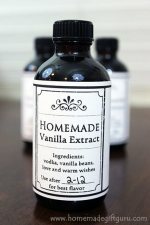 Traditional Gift Tag Templates: So Many Options for Beautiful Gift Tags!